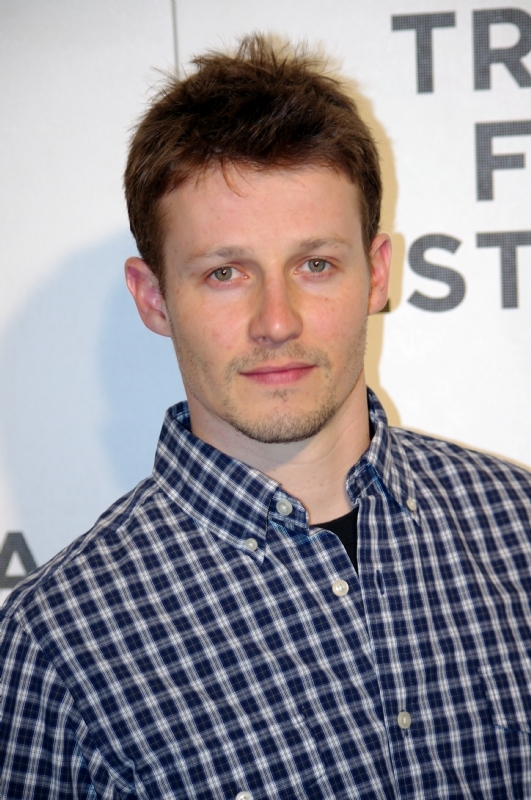 Will Estes is a famous Actor from USA, he is 40 years old and still alive, born October 21, 1978. Will Estes (born William Estes Nipper) is an American actor. Television viewers primarily known as JJ Pryor, a talented footballer, one of the main characters in the NBC series American Dreams. In 1990-1992 he was nominated three times to Young Artist Award for hes role in the Family television series The New Lassie. He was also nominated in 1996, thanks to hit role in the sitcom Kirk. He is born under the zodiac libra, who is known for Balance, Justice, Truth, Beauty, Perfection. Our collection contains 23 quotes who is written / told by Will. "You get to actually see the music video on the TV in the pilot and we have the soundtrack playing at this big party. I thought that was sort of a cool moment, to actually have the A-Ha video is pretty cool"
"That's a tough question; I've been acting since I was 10. My dad was an entrepreneur, so I guess something along those lines. I wouldn't want a 9-5 job"
"I've always been an animal lover. I've grown up with dogs my whole life"
"A lot of directors are great and they are fine but you know I think that Harry really takes a special point to really engage the actors and really make it feel like a safe place for them to explore whatever it is they want to explore in whatever scene with their character"
"I've been acting since I was 10. My dad was an entrepreneur, so I guess something along those lines. I wouldn't want a 9-5 job"
"I'm into all that sappy stuff - a surprise picnic, nice dinner, or traveling. I'm kind of an old romantic"
"I'd love to learn to cook. I think the ladies like a guy who can cook. Also, there are lots of available ladies at cooking classes. Can you tell I'm single?" "I don't really get a chance to watch much television. I mostly watch BBC Worldwide and repeats of Seinfeld and Everybody Loves Raymond"
"I don't really get a chance to watch much television"
"It's drama, it's a lot of things, but you know it's always about every movie or every TV project ever made is meant to be watched. If people like it and support it, that's what it is all about, really it's sort of the important part about it"
"I had a director who told me a story about a fan who had commented on how nice it was to see her sister laughing and how happy the show made her. I like to make people happy and make them laugh"
"You know how most dogs lick you on the cheek? If you're sleeping and not ready for it, my dog, Joe, will get his tongue inside your mouth. It's by far the worst kiss I've ever had"
"My dogs are a priority and a big responsibility... but the payoffs are well worth it"
"I'd say you have to be really committed to the field, show up for every audition and to be aware that very few make it in this field"
"I think education is one of the greatest tools for most kids not only to expand their book knowledge, but their ability to experience new things - I think it opens more doors than any other experience I can think of"
"I love the music, I love the times, so to me that was exciting personally just to play something that starts in 1986 with graduating high school, we've got a great soundtrack in the pilot"
"It's real time intensive so there's not much time for goofing around, but we are really close and we have a good time with each other. It's a great group"
"I've always been an animal lover. I've grown up with dogs my whole life. I think that is what helped me get the role on 'Lassie', I was comfortable around the dog, where many of the kids were afraid or intimidated by Lassie"
"But, on another level it's really sort of this really cool coming of age story, it reminds me of like The Breakfast Club or something like that, if I can be so bold to associate with The Breakfast Club"
"I wish I knew at 14 not to put much thought into what other people my age said to me, cause we were all looking for the answers. So I wish I knew that other people really don't know any more than you do!" "I guess growing up I realized that there is really this huge epidemic in a city like Los Angeles, and many other cities, where they put down thousands upon thousands of animals every day"
"For me, one I love the 80's, I love 80's music, I'm sort of a baby of the 80's, I grew up in the 80s"